For over 30 years the UK-based :zoviet*france: has tested the edges of known music both in recording and performance. 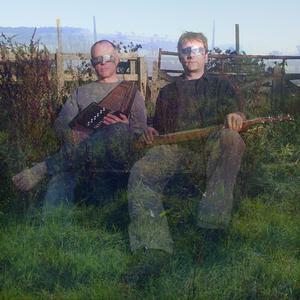 Their approach to composition is instrumental non-song-based and derives from an eclectic mix of electronic and acoustic instruments, often infused with field recordings. Though willfully obscure and underground their music has an international audience. They have released over 20 albums on labels including Mute Records (UK), Staalplaat (Netherlands), Soleilmoon (USA) and their own Charrm label. In recent years they have worked extensively with contemporary dance companies including Karas (Japan), Zero Visibility (Norway), Nye Carte Blanche Danseteater (Norway), balletLORENT (UK), and for award winning productions by Random Dance Company (UK). This year they were commissioned to compose the soundtrack for Auricular by Surface Area Dance Theatre, and have recently completed their first feature-length film soundtrack (currently in post-production). Their latest album The Tables Are Turning was released by Soleilmoon last November.